In FANTASTIC condition! Never worn as I decided to do a princess ball gown instead for a completely different look. I have more pictures & video & will be happy to message them or Skype/FaceTime etc. (No dry cleaning necessary as it’s brand new). Couture New York designer, Anna Maier ivory stunning lace with a champagne underlay. Can be belted to add more charm or even altered for high-low or a slit. Chic buttons (with zipper) from hemline to hemline. I’m a size 6 (sometimes a size 8, depending on cut, etc) with athletic curves & a B/C bra cup & 5’6” for reference. 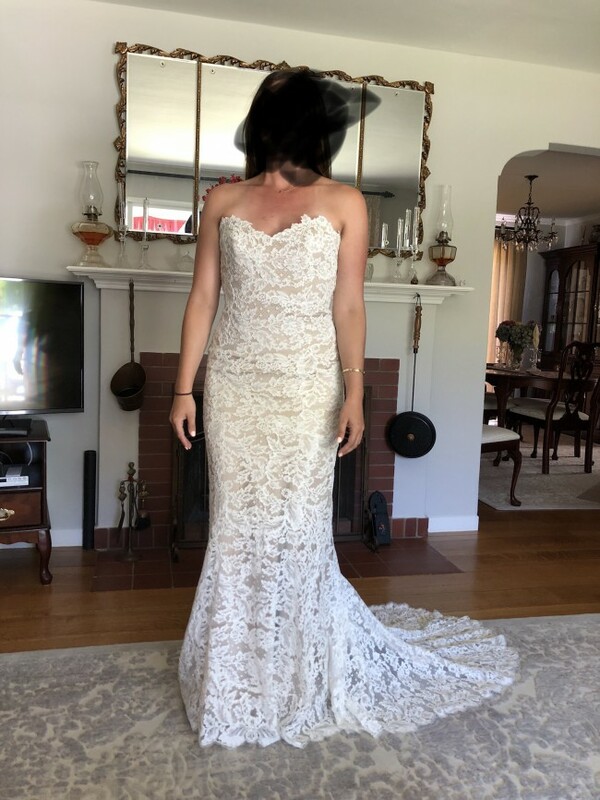 The dress fits perfectly & needs zero alterations. Once you send a message, Alyssa can invite you to purchase the dress.